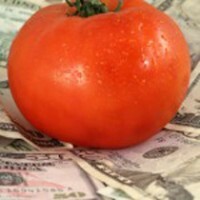 Developing an operating budget can help keep your tomato operation profitable. Refer to the sample budgets in this section to get started. N.C. State University has developed and compiled sample operating budgets to guide North Carolina tomato growers in tracking, maintaining and managing their business costs. The documents provided below help estimate the operating expenses associated with production, harvest and marketing for commercial tomato operations. Costs can vary greatly depending on the operation. Extension agents and growers are able to estimate production costs and returns by entering cost estimates into these sample budgets. The budgets are separated by eastern and western North Carolina due to the differing growing conditions and associated production costs for growers in each region. Contact your local N.C. Cooperative Extension Agent with questions or to request more information regarding North Carolina tomatoes. The following resources are not North Carolina-specific; however, they contain budget information that N.C. growers may find valuable. This document includes the initial *investment costs to construct a 24 feet x 96 feet (2,304 sq. ft.) greenhouse tomato facility. 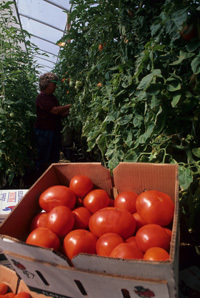 Also included are sample budgets associated with greenhouse tomato production (pages 15-19). Growers will find a comprehensive summary of the greenhouse tomato industry and marketing tips as well. Developed by N.C. State University. *The cost estimates are based on the prices available in 1999. This budgets and examples can still be applied/modified for today’s market. This is a comprehensive sample greenhouse tomato production budget from Mississippi State University. Growers will also find detailed explanations of the costs and resources involved in maintaining a greenhouse tomato operation. This budget, developed by Rutgers University in 1996, is for organic production in the Northeastern U.S. Cost budgets are reported for 20 vegetable crops as combinations of crop, machinery size and market channel. Each cost budget is supplemented with a table where net return is calculated over a range of prices and yields. This 1993 budget from The Ohio State University specifically looks at the market for green-pack tomatoes compared to vine-ripened. This operating budget accounts for fixed and variable costs. The returns are based on yield and price assumptions.